Strongwell offers the broadest range of industrial grade fiberglass structural material, systems and fabricated structures available from a single source. EXTREN® fiberglass structural shapes and plate are produced and stocked in three different resin series and in more than 100 shapes and sizes for various applications and environments. All EXTREN® shapes have a surfacing veil to increase corrosion and UV resistance and prevent fiber exposure while in service. FIBREBOLT® fiberglass studs and nuts are available to use with EXTREN® as an alternative to metal fasteners in applications that must be strong, noncorrosive, low in conductivity and/or transparent to electromagnetic waves. 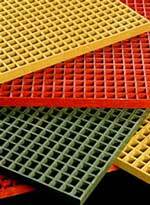 DURADEK® high strength fiberglass grating is a pultruded "I" or "T" bar type grating that can be designed and used like traditional metal grates. DURADEK® is lightweight, easy to install and often lasts up to 20 times longer than steel in corrosive industrial environments. DURAGRID® is a line of custom manufactured grid or grating systems for applications that cannot effectively be met by the standard DURADEK® line. 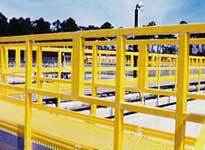 DURAGRID® offers options such as selection of open space, bar shape, cross-rod placement, custom resin, color or size. DURAGRATE® molded fiberglass grating is a strong square or rectangular mesh grating that allows efficient on-site cutting to minimize grating waste. Molded in one piece with a plain, concave, non-slip walking surface, DURAGRATE® is the chemical resistant flooring choice for many industrial applications. 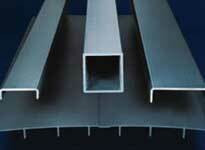 Load bearing bars in both directions allow for use without continuous side support. 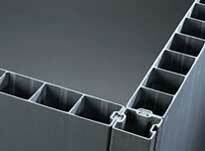 COMPOSOLITE® is a building panel system suitable for load bearing structural applications. Interlocking components make it possible to design fiberglass structures at significantly lower costs for a broad range of construction applications including FRP buildings, bridge decks and enclosure systems, platforms and walkways, tank covers and cellular enclosures. SAFRAIL™ is a low maintenance, OSHA-approved fiberglass handrail system that is specially engineered to be prefabricated or easily fabricated on-site. SAFRAIL™ can be easily adapted to your design requirements. 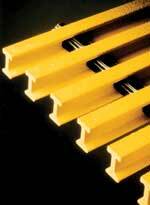 SAFRAIL™ handrail systems are available in round, square and channel-top options. SAFRAIL™ ladder and cage systems are also available. DURASHIELD® fiberglass foam core panels are tongue-and-groove pultruded panels composed of a fiberglass skin over a foam core. 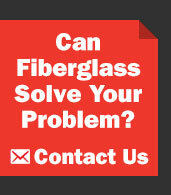 The fiberglass skin is available in a premium polyester or vinyl ester resin, both of which are fire retardant. 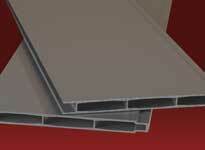 Panel sizes include 1" x 12" (R factor 5) panels and 3" x 24" (R factor 17) panels. 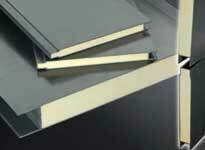 DURASHIELD® panels can be produced in any shippable length. DURASHIELD HC® is a cost-effective alternative to DURASHIELD® due to its unique hollow core design with internal stiffeners. The panel is a sensible choice for any type of roofing, flooring, enclosures, decking or screening that does not require insulation. It is a custom designed tongue-and-groove building panel for quick assembly and easy installation in various applications. SAFPLATE® fiberglass gritted plate is a tough, corrosion-and slip-resistant floor plate composed of EXTREN® fiberglass plate with an anti-skid grit surface. Designed for use where open floor grating is not suitable, SAFPLATE® is a long-lasting, maintenance-free alternative to steel plate for solid surfaces. SAFPLANK® is a system of fiberglass panels designed to connect together for a continuous solid or slotted surface. SAFPLANK® provides safe, long-lasting walkways, cellular antenna screening panels, temporary flooring, covers and decking in environments where corrosion and water could create costly maintenance problems or unsafe conditions with other materials. When turned upside down, SAFPLANK® also functions as an excellent stay-in-place concrete forming system in applications where corrosion and weight are concerns. Strongwell manufactures environmentally friendly Sheet Piling that is used in some of the most challenging levee seepage and groundwater cutoff projects. FRP sheets have been utilized in remediation projects throughout North America including federally funded SUPERFUND and EPA managed sites in the United States. FRP Sheet Piling has been successfully used in corrosive chemical environments such as those containing VOCs, BTEX compounds, methane vapors and NAPLs. UltraComposite FRP Sheet Piling has been used in projects that are designed to offer better performance than slurry, steel or concrete. FRP sheets have been used successfully where it has been in contact with common chemicals found in cutoff and containment projects. 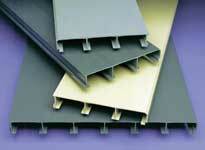 FRP sheets are lightweight for easy handling and economical shipping. Compared with many slurry installations, FRP sheets require a small construction footprint and smaller equipment at the jobsite. Typically, projects that use FRP sheets can avoid excessive dangerous air emissions (created during slurry wall construction when digging up contaminated soils) because the sheets are driven into the ground. Also slurry walls can require soil mixing, create hazardous material disposal issues, require huge volumes of water at the jobsite and necessitate environmentally harmful bentonite mining operations. 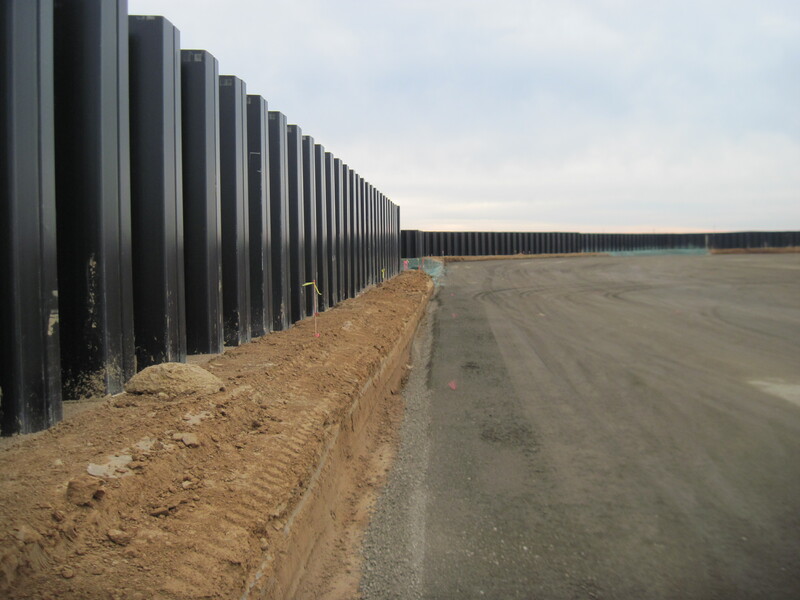 The patented interlocking technology designed into FRP Sheet Piling provides durability for challenging installations. The entire surface area of FRP sheets are impermeable, and with interlock sealant in conjunction with the overlapping lock system, the sheets can provide permeability rates equal to and superior to slurry. 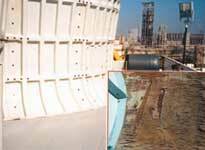 As the world’s largest performance-driven manufacturer of sustainable sheet piling solutions, Crane Materials International (CMI) has developed products that successfully address marine, retaining wall, flood protection, and water control applications, as well as some of the most challenging chemical containment, levee seepage and groundwater cut-off projects. Founded in 1947, CMI is a part of the Crane Group and is committed to protecting and sustaining the environment through its work in environmental remediation, Superfund and EPA-funded projects. CMI also works to exceed safety standards while developing and delivering new technologies for construction materials. In addition to providing high-performing, durable synthetic and composite piling solutions, CMI offers proprietary installation equipment, product engineering assistance and a team of experts to support every aspect of a project. 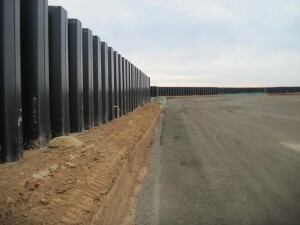 For additional information or to speak with one of our experts, visit cmisheetpiling.com or call 1-877-377-7453. 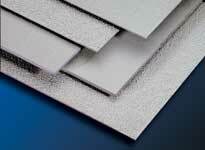 SAFDECK® is a system of 24" wide fiberglass panels designed to overlap for a continuous solid surface. SAFDECK® is intended to replace wood, aluminum or steel decking in environments where corrosion or rotting creates costly maintenance problems or unsafe conditions. Typical applications for SAFDECK® include: cooling tower decking, temporary flooring, odor control covers, wind walls, roofing walkways and cellular antenna screening panels.